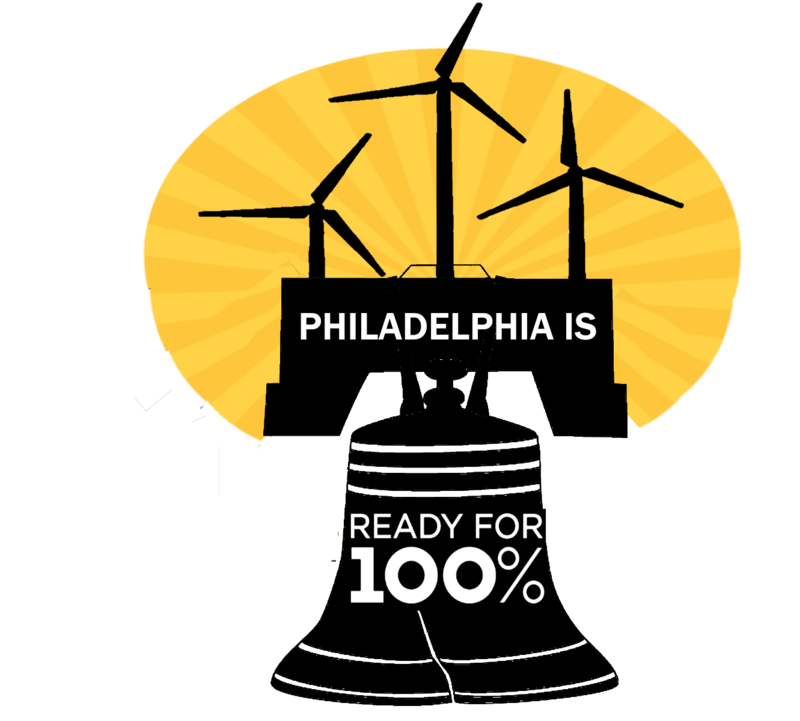 In November 2017, the City of Philadelphia published a draft document: Powering our Future: A Clean Energy Vision for Philadelphia (CEV). It’s a long-term vision that could achieve Mayor Kenney’s goals of reducing carbon emissions 80% by 2050 while emphasizing equity & health for all Philadelphians. Suggestions for clearer goals with measureable milestones and specific timelines. In light of the Paris Climate Agreement, and our City’s commitment to work towards it, we questioned whether the goals of 80% reduction by 2050 were sufficient. Many offered ideas for PGW, our city-owned gas utility, to develop a business model that’s no longer based on selling more gas. Though the CEV focuses on energy used by our buildings, that’s only 60% of our current emissions. The bulk of our other emissions are from transportation and waste (19% and 8% respectively), while 54% of our transportation emissions are from passenger vehicles, 19% from heavy trucks and 9% from transit, per the 2012 Citywide greenhouse gas emissions inventory. Let’s start with the Sierra Club since their Southeastern PA Group led the Philly’s Ready for 100 campaign last year. They ask for a clarification of goals, suggesting 100% clean electricity by 2035 and 100% clean energy for everything else (meaning heat and transportation) by 2050. They also suggest redefining the mission of PGW, our country’s largest publicly owned utility, to transition it to a clean energy supplier. They ask the City to endorse specific suppliers under the PAPowerSwitch program, which allows electric customers to select their generator. We learned from their report that the Philadelphia Housing Finance Agency (PHFA) makes decisions based on Passive House standards. Curious? Read their entire response here. Next is the Philadelphia chapter of The Climate Mobilization. They too question the 80% reduction goal, and suggest a 100% clean energy goal within 10 years, by 2028. They ask for explicit milestones by 2019 and 2023 (during the Kenney administration), and a dashboard showcasing current emissions and energy consumption with public portals to track energy for all branches of City government. 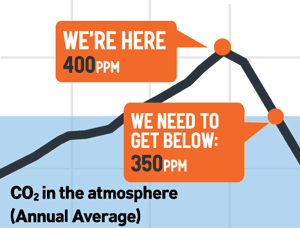 The Climate Mobilization’s response can be found here. Our own group, 350 Philadelphia, focused on the goal as well. If indeed our Mayor stands by the Paris Agreement, a goal of 80% emissions reduction by 2050 is inadequate. We ask that the City lay out the reasoning behind their “80 by 50” goal. Our brief response is found here. Then there’s a personal response from 350 Philly member, Citizens’ Climate Lobby volunteer and scientist Sarah Davidson. She too recommends strengthening the 80-by-50 goal, citing a number of studies suggesting that this is not enough to meet the goals of the Paris Agreement, and that the sooner emissions reductions occur, the greater their impact. She asks that the report define current sources of electricity and emissions and how the City will measure progress towards its goals. She also asks that the report support City advocacy for future federal climate legislation, as has been called for by City Council. This is the only response that references nuclear power, noting that although it is ignored in the draft report, nuclear power is currently by far the largest source of carbon-free energy in Pennsylvania and possibly essential to the City’s goals. It’s also the only response that refers to renewable natural gas (from landfills or anaerobic digestion), and requests that the final report describe what is needed to make these products available to Philadelphia residents / PGW customers. Her response is chockful of scientific references, and can be found upon inquiring 350 Philadelphia. Another personal response is from another 350 Philly member Meenal Raval. Going page by page, this also notes the inadequacy of the stated goals, the disconnect between city departments, and some glaring math errors in the report. She asks about partnering with the OOS on clean energy advocacy, why our public rooftops aren’t being assessed for their solar potential, offers a suggestion for PGW to move into energy efficiency work, lists policies to transition our heating needs from gas to electric heat pumps, and again, about enlisting PGW in this transition. Her comments are found here. Other groups have crafted their own response, notably POWER, found here. This interfaith group very poetically keeps justice front and center in their comments, be it in housing, food, health, education, incarceration, or energy. They make mention of PAPowerSwitch as a tool offering choices for electricity providers, although pointing out the higher rates for renewables. POWER also points out that the renewable options basically just sell renewable energy credits (RECs) rather than actual renewable energy production. In addition to using carbon emissions as a measuring stick, they suggest the City also consider affordability, greenhouse gases other than carbon dioxide (such as methane), living wage jobs and community ownership of the clean energy systems. As to PGW, they concur that our City-owned utility needs to transition from selling more gas to electrification, and they highlight the need for a participatory transition plan that includes the PGW workforce. This is the only group that suggested that the City consider a CCA (Community Choice Aggregation) plan, an interesting option to define renewables as the default source of electricity for all residents. Philly Thrive did a survey of residents near the PES refinery in Southwest Philadelphia and found rates of asthma rising quantifiably as people lived closer to the refinery. See the survey summarized here. Their #WeDecide campaign asks that the refinery site get cleaned up, made safe, replaced with alternative energy generation, and given its riverfront siting, the inclusion of some green space for the community. Posted on March 7, 2018 March 8, 2018 by meenalPosted in clean energyTagged #WeDecide, CCA, OOS, PAPowerSwitch, Paris Agreement, PGW, Philly Thrive, POWER, Ready for 100, Sierra Club, The Climate Mobilization. Over 6 months later, we have a final version of the draft Clean Energy Vision. See here: https://www.phila.gov/2018-08-22-powering-our-future-philadelphias-clean-energy-vision/. Some changes, but my questions still not resolved.